Beauty products have always been a vice for me. I can never resist a bargain and the 3 for 2 offers in Boots would always pull me in and I'd find myself heading home with a big bag full of nail polishes I definitely didn't need. 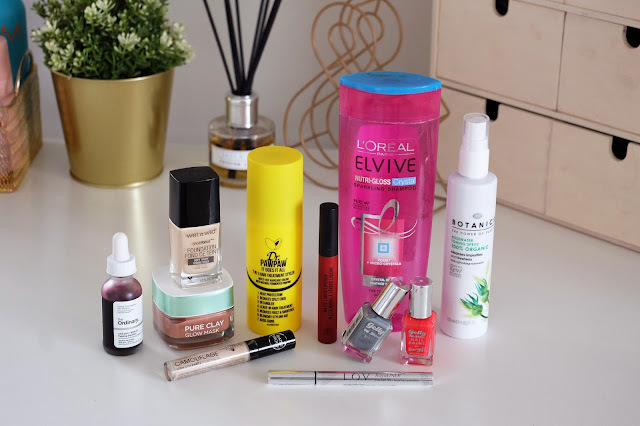 While it'd be lovely to be able to afford €40 foundations, and skincare that costs an arm and a leg, I find some of the cheaper beauty products work just as well, so today I want to share with you my 10 best beauty products that all cost under €10! First up is this genius product from Dr. Paw Paw. It's a 7 in 1 hair treatment that leaves your hair silky smooth and smelling almost good enough to eat. I use this when my hair is damp before I blow dry it to protect it from heat, but it can also be used as a de-tangler, or is your hair needs a bit of shine. Cloud10 currently have it in stock (just click the link above) but Penneys also stock this bad boy too so keep your eyes peeled! I've tried many shampoos over the years but any time I see this one from L'Oréal on offer I pick it up because it's incredible. I have quite fine hair, so I need a nice, light shampoo that gives my hair a really good clean and this does the job perfectly. Boots currently have an offer on this (linked above), and Tesco almost always have some sort of deal on it too. 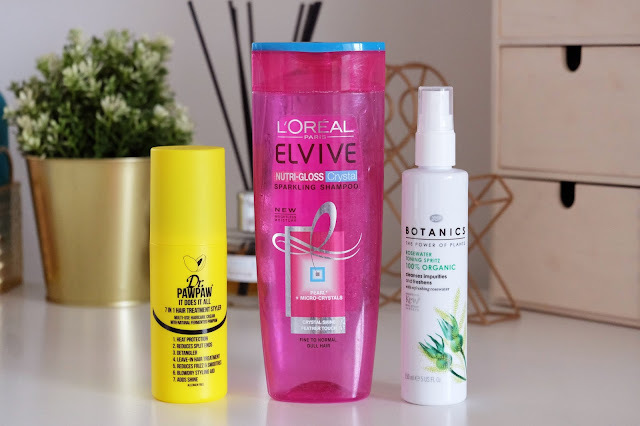 I can confidently say that this toning spray from the Boots Botanics range is one of my holy grail skincare products. Every time after I cleanse (morning and night) I spritz my face with this and it leaves my skin feeling so fresh. The Boots Botanics range is 100% organic too so I know there's no nasty chemicals in there. The Botanics range is often on offer and their Radiance Balm is another bargain beauty product that I recommend you all try. These nail polishes from Barry M have been a long time favourite of mine. 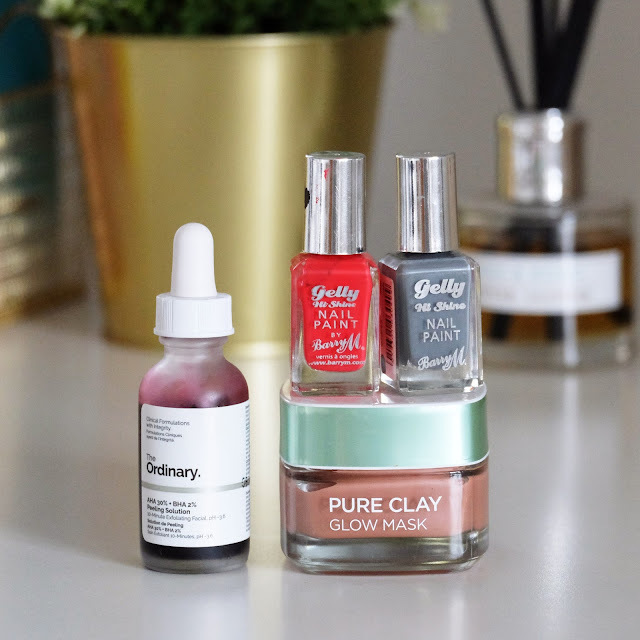 They're easy to apply, they make my nails look as if I've had a proper gel manicure done and they last a lot longer than other nail polishes I've tried. Boots often have a '2 for €9' deal on these so I always stock up. I love face masks, and I've tried more than I care to count so when I say that this L'Oréal Glow mask is one of the best I've tried, you better believe I mean it! The L'Oréal Pure Clay range now has 5 masks in total and while I've been impressed with all of them, the Glow mask really stood out to me. It has little particles in it that are brilliant for exfoliating the skin and it leaves my skin looking lovely and bright. Feel Unique currently have it on offer (linked above) and Penneys also stock the range for €8.50 each. Penneys have been hitting it out of the park with their make-up lately and one product I've been really impressed with in particular is their Matte Liquid Lipstick lip kits. The kits cost €4 and come with a liquid lipstick and accompanying lip liner and my favourite shade has to be 'Lady In Red'. It's a gorgeous blue toned red so it makes your teeth look lovely and white and it's a very comfy matte lip to wear. This eyeliner from L.O.V Cosmetics has fast become my most favourite eyeliner ever. It's so easy to use thanks to the super fine brush tip and has such amazing staying power. It only costs €7.95 from Parfum Dreams which I've linked above, and L.O.V Cosmetics is also stocked in most Sam McCauley Chemists and Shaws Departments stores so you can get this eyeliner right here at home for €8.95. A full list of their stockists can be found on their Facebook page - here. If you're a pale girl like I am you'll know how hard it can be to find a foundation that doesn't make you look like a satsuma. Well let me tell you that Wet'n'Wild's Photo Focus foundation is perfect for pale skin and I don't even wear the lightest shade! 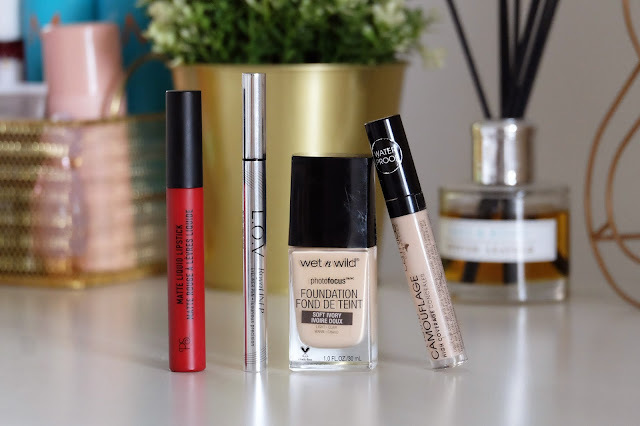 This foundation gives brilliant coverage, is super easy to apply thanks to it's liquid consistency and you can get it in Penneys for under a tenner! I think it's safe to say that this concealer from Catrice has an almost cult like following at this stage and if you haven't it yet you're missing out! I use the lightest shade under my eyes and the second lightest shade for concealing any blemishes and this stuff really is like liquid camouflage. It can be a little tricky to get hold of but Meaghers Pharmacy currently has it in stock so I've linked it above. What are your best beauty products that cost under a tenner? Do you love any of the products that I've included in this post? As always thanks so much for reading and I hope you liked this post, just don't blame me for all of the beauty shopping you'll be doing!